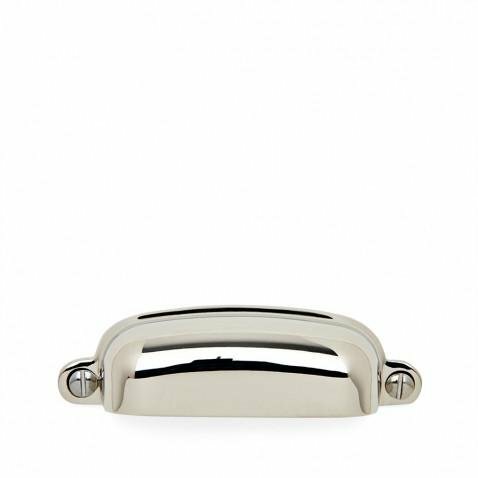 Size: 3 1/2" Material: Brass Finish: Nickel Vendor Name: Waterworks Vendor SKU: 22-45580-66688 Original List Price: $40.00 Additional Details: Bring the timeless sophistication of hand-fitted and hand polished brass to your bathroom with the Waterworks cabinet pull. Perfectly proportioned and gracefully sculpted, this charming bathroom cabinet pull comes with your choice of four different metallic finishes. Condition: Item has slight finish issues and missing mounting hardware.